Welcome to our April bulletin. This month we bring you news of the arrival of the first Aster-Accucraft BR 5MTs, further images of the Adams Radial Tank, our 2019 open day, an announcement at the National Garden Railway Show and some discontinued UK stock still available from California. 5MT kits now in stock, RTR version due shortly. The Aster-Accucraft BR 9F (now sold out) was followed up by a short re-run of the BR Standard class 5MT. This new version features a high-sided BR 1C tender and is available in both lined black and lined green liveries. Kits from Accucraft (UK) Ltd. are unlettered and without emblem/crest for your choice (decals included). Ready to Run models will represent No. 73096 in lined green, as preserved on the Mid Hants Railway, and the Bluebell Railway’s No. 73082 Camelot in lined black. Note, although No. 73096 is currently running with a ‘hybrid’ BR1G tender, it ran with a BR1C tender when it was in BR service. No. 73156 is also preserved on the Great Central Railway and is currently in traffic there. Aster Hobby Co only made 170 units back in 2010 allowing for a further run; with the high-sided tender the model is perfect for representing the British Railways Southern Region ‘Arthurs’ which acquired the names of scrapped Southern Railway N15 ‘King Arthurs’ (the Southern Region examples required high capacity tenders because of the lack of water troughs in the region). The 5MT will be an ideal companion for the Accucraft UK range of Gauge 1 (1:32 scale) rolling stock. Call us now to order one! This will be the first Accucraft model to benefit from assembly in Japan, bringing improved build quality and finish as well as giving us the option to offer the model in kit form, a first for Accucraft UK!. 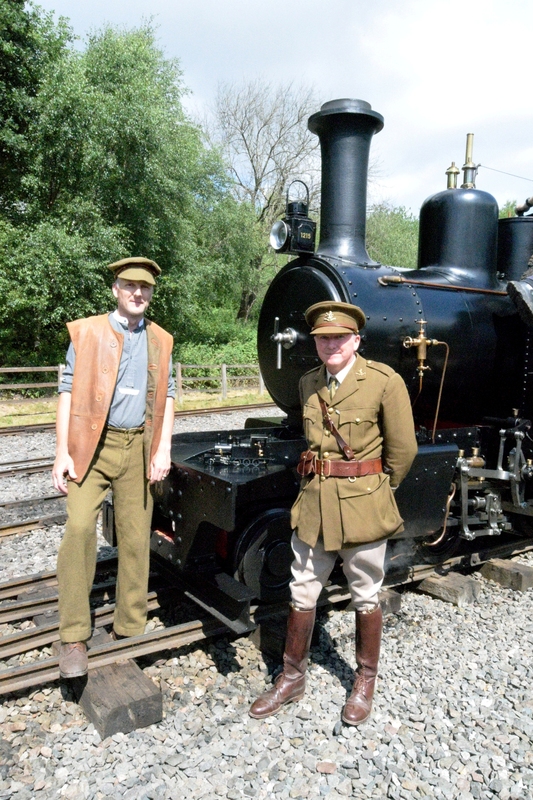 Launched to coincide with the Bluebell Railway’s ‘Branch Line Weekend’ debut of No. 30583 in late BR black, we are sure that almost everyone with a Gauge 1 layout will find an excuse to have one of these delightful locomotives. 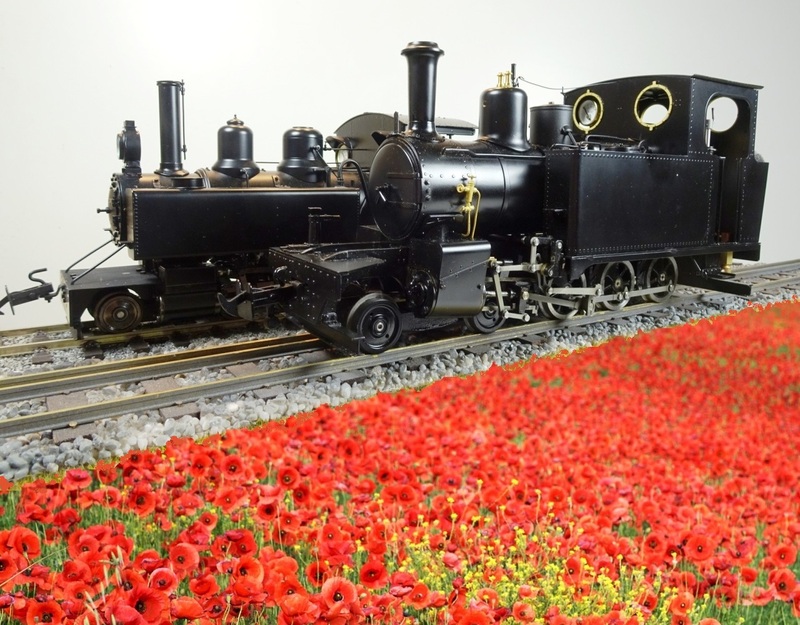 The model is 1:32 scale for 45mm gauge track, gas-fired with a single flue boiler. The chassis is constructed from stainless steel, the wheels are uninsulated. The boiler is copper, the cab and bodywork are constructed from etched brass. The model will run round 4′ 6″ radius curves (TBC). The East Kent Railway version is only available from Kent Garden Railways. The anticipated UK RRP will be £1950.00 or £1995.00 for the RTR version (depending on livery), £1795.00 or £1850.00 for the kits – pre-order yours now! This is the big one! We’ll bring an impressive range of Accucraft UK and US stock as well as the latest offerings from Aster-Accucraft. We will also break some exciting news about 1:19 scale product releases for 2020 to give you all a bit of time to save up! As ever, we look forward to seeing you at our stand, Y3 – yes, that’s right, we’re in the naughty corner again! 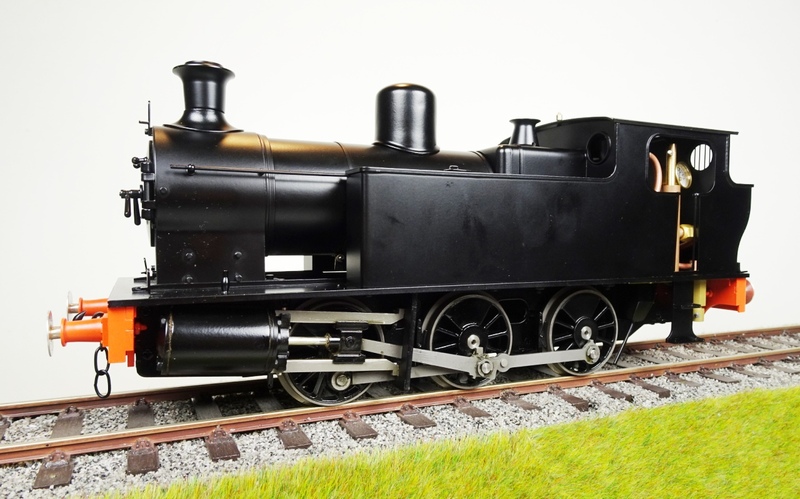 To be announced by Accucraft UK today at the Large Scale Model Railway Show, we are thrilled and delighted to say that this year’s new 1:32 locomotive will the iconic L&SWR Adams Radial Tank 4-4-2T. This will be the first Accucraft model to benefit from assembly in Japan, bringing improved build quality and finish as well as giving us the option to offer the model in kit form, a first for Accucraft UK!. Launched to coincide with the Bluebell Railway’s ‘Branch Line Weekend’ debut of No. 30583 in late BR black, we are sure that almost everyone with a Gauge 1 layout will find an excuse to have one of these delightful locomotives. William Adams’ 415 (later 0415) Class was based on his earlier LSWR 46 Class, with London suburban services in mind. The enlarged coal bunker was also designed to incorporate a back tank for extra water storage in addition to the capacity of the side tanks. Coupled to a short wheelbase and guiding bogie, the locomotive was relatively manoeuvrable on tight curves, a feature that was to ensure the survival of some of the class later on. The 0415’s tenure on the London suburban services was relatively short-lived and the class was generally removed from the London section of the LSWR to rural branch duties from 1895. In 1903 the link was made between the class and the severely curved Lyme Regis branch and two were allocated to Exmouth Junction shed for the Axminster to Lyme Regis service, joined in 1946 by a third example retrieved from the East Kent Railway. The three locomotives continued on the Lyme Regis branch after Nationalisation due to the lack of better motive power to cope with the curve restrictions in place on the line. By 1958 all three were showing their age, and the end finally came in 1961. However the final example, No. 30583 (née 488), was purchased by the Bluebell Railway. After arriving at the line under its own steam it performed sterling work in two different LSWR guises, and in BR livery, up until 1990. At present it is displayed as a static exhibit, as extensive overhaul (probably involving replacement of the boiler barrel) is required before it can steam again but it was recently repainted in BR black for a branch line event held in 2019. The model is 1:32 scale for 45mm gauge track, gas-fired with a single flue boiler. The chassis is constructed from stainless steel, the wheels are uninsulated, the boiler is copper. The model will run round 4′ 6″ radius curves (TBC). 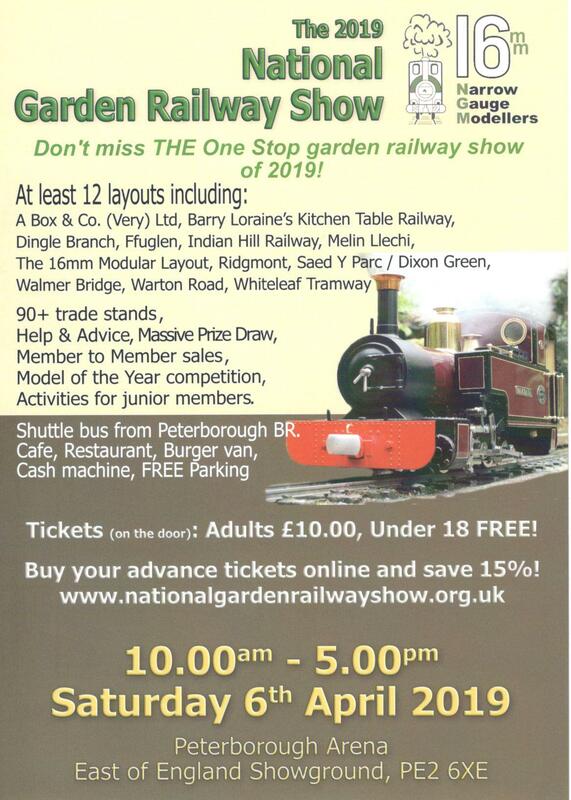 The East Kent Railway version is only available from Kent Garden Railways. The anticipated UK RRP will be £1950.00 or £1995.00 for the RTR version (depending on livery), £1795.00 or £1850.00 for the kits. We’d like to thank David Fletcher for the marvellous drawings he has produced of this elegant locomotive. Make sure you put the date in your diary! In association with Accucraft US we are running a special programme in conjunction with the new Aster-Accucraft Light and Heavy Mikados. Any purchase of an Aster-Accucraft Light or Heavy Mikado, in kit form or RTR, entitles the customer to a 20% discount when purchasing either AAR Box Cars or 40’ Reefer Cars, up to a total of 24 cars. The Aster-Accucraft Mikados are available in a wide variety of road names, the Light Mikados have a UK RRP of £4550.00 RTR (£3550 in kit form) and the Heavy version carries a UK RRP of £4950.00 (£3950.00 in kit form). You can find the full specification for both these models and a list of road names here. Terms and conditions: Offer only valid to buyers of an Aster-Accucraft Light Mikado or Heavy Mikado from an authorized Aster-Accucraft Dealer. Proof of purchase required. Second hand buyers are not eligible. Only current 1:32 Box Car and Reefer Car inventory are eligible for program. Upcoming production of box cars and reefers can be pre-ordered. Cannot be combined with other offers. Offer non-transferable. Subject to availability. Purchase of Mikado and rolling stock does not have to be at the same time. Program ends July 31st, 2019. Programme rules, terms, and dates subject to change without notice. Welcome to our first bulletin of 2019. This month we bring you news of changes to the supply of Gauge 1 locomotives, the arrival of the Baguley Drewry diesels, an update about Dolgoch and the discovery of some discontinued UK inventory in California! After much consideration we have decided that the only way we can continue to serve the Gauge 1 market is to sell Accucraft locomotives direct. This has not been an easy decision but it has been forced on us by new entrants in the market (models which are being sold direct into the UK by their importers) which have under-mined our ability to sell through our dealer network. All future Accucraft 1:32 locomotives will only be available direct from us although our dealers will be happy to continue to supply you with our range of rolling stock. The immediate consequence of this is that we are delighted to be able to offer the next batch of ‘Victories’ with a set of four RCH 7 Plank wagons for the original RRP of £1275.00, effectively reducing the price of the locomotive to just £975.00 (*wagons to be a selection of ‘Big Four’ or BR types); the power unit will be available with two wagons FOC on the same basis. Rest assured this does not mean that we will abandon 1:32 Scale since, in addition to the Aster-Accucraft locomotives now available through us, we will be announcing new Accucraft (UK) types in the future as well. 1:19 Scale Baguley Drewry diesels arrive! After a long wait we are pleased to say that the next batch of Baguley Drewry diesels will arrive during the second week of January. Once again available in five different colours or as just a power unit, please contact your local dealer to obtain one. UK RRP £350.00, power unit £250.00. 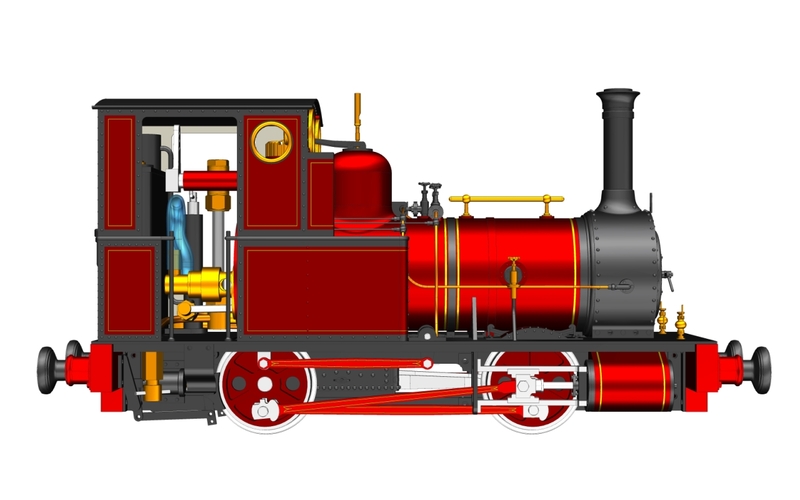 We are now able to share some of the final CAD renderings of Dolgoch with you. Certain refinements have been carried out since we originally unveiled the locomotive, notably the moving of the reverser further forward in the cab to a more prototypical position. UK RRP £1550, available in either 32mm or 45mm gauge, a percentage of the retail profit from each sale will be donated to the Talyllyn Railway for the future overhaul of Dolgoch, a higher percentage if the model is bought direct from Accucraft UK Ltd. We would like to acknowledge the help we have received from Talyllyn Railway members in preparing the drawings for this model. You can see full details of the model here. Welcome to our November news update. The heading image is a small tribute to the men of the Light Railways Operating Division who lost their lives in World War 1. As we approach the centenary of the end of this bloody conflict it is worth remembering the sacrifices made by so many to bring it to an end. We are lucky to have preserved examples of both WD Baldwins and Alcos in the UK and Europe and the recent recommissioning of No. 1215 has filled a further gap, adding a WD Hunslet 4-6-0T to the roll call. We have just a couple of 32mm gauge examples left to purchase, and remember, every sale contributes to the restoration cost of No. 1215! Last call for U.S. stock for Christmas! If you fancy something American in your stocking this year we are planning one last shipment from California before the festive season. There are 1:32 freight cars to go with the new Aster-Accucraft Light Mikados, 1:20.3 locomotives and rolling stock as well as the last few Aster-Accucraft 9Fs – don’t miss out! You can check availability through the eStore. Welcome to our October newsletter. This month we bring you the first images of the Aster-Accucraft BR 5MT 4-6-0 with BR1C tender, further news of our new generic locomotives and a ‘last call’ for the 7/8ths” scale Forney which is now in production. Robert Riddles was tasked to produce new standard locomotive designs for the fledgling British Railways, totalling 12 new classes. The BR 5MT was based on the very successful LMS ‘Class 5’ mixed traffic design, the ‘Black Five’ introduced in 1934. However the BR 5MT had the advantage of nearly 20 years progress in steam locomotive development. Consequently the general layout for crew comfort, ease of disposal and shed maintenance were all much improved. No fewer than 172 BR 5MT were built for use throughout the UK of which 30 were constructed with cam operated rotary Poppet valves driven by Caprotti valve gear. The only other significant difference between the locomotives was the variation in tenders chosen to suit local operating requirements. Some were painted BR green and 20 on the Southern Region carried names. The BR 5MT was a true Mixed Traffic design being equally at home on an express passenger services as well as local passenger trains and fast freight operations. The Aster-Accucraft BR 9F is to be followed up by a short re-run of the BR Standard class 5MT. This new version will now feature a high-sided BR 1C tender and will be available in both lined black and lined green liveries. Kits from Accucraft (UK) Ltd. will be unlettered and without emblem/crest for your choice (decals included). Ready to Run models will represent preserved No. 73096 in lined green and the Bluebell Railway’s No. 73082 Camelot in lined black. Aster Hobby Co only made 170 units back in 2010 allowing for a further run; with the high-sided tender the model is perfect for representing the British Railways Southern Region ‘Arthurs’ which acquired the names of scrapped Southern Railway N15 ‘King Arthurs’ (the Southern Region examples required high capacity tenders because of the lack of water troughs in the region). The 5MT will be an ideal companion for the Accucraft UK range of Gauge 1 (1:32 scale) rolling stock. Available later this year, make your reservation with us now! You can find full details of this model here. This year the Gauge 1 Model Railway Association will be holding its AGM and show at Woking on Saturday 20th October. We will be present with our stand and look forward to seeing you there. 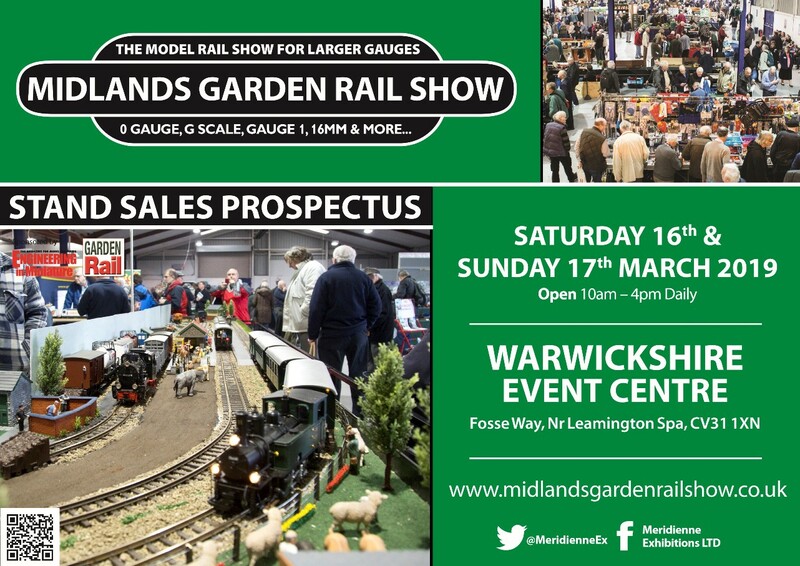 The show is open to non-G1MRA members so why not come along, say “hello” and find out what Gauge 1 has to offer? You can find full details of the show here. ‘Talgarth’ & ‘Sabrina’ – ‘Ragleth’ reborn! 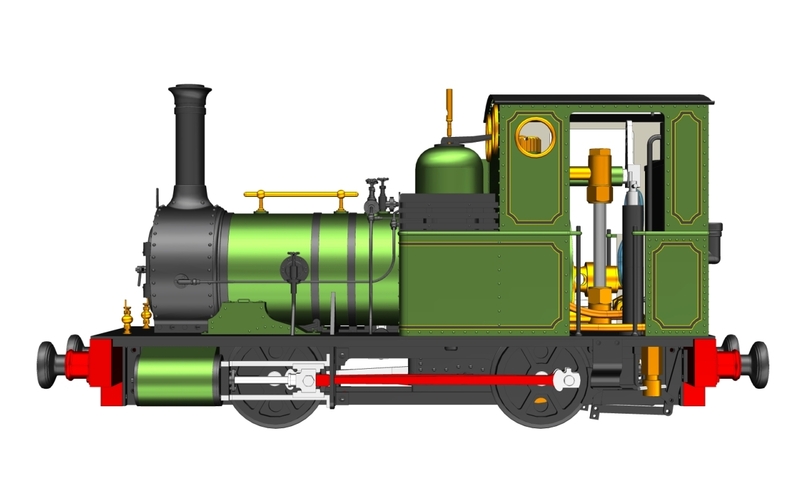 Last month we brought you news of our new generic 1:19 scale locomotives and illustrated the piece with an image of ‘Talgarth’. This month we are delighted to share an illustration of ‘Sabrina’, the saddle tank. Both are freelance locomotives with design inspirations from Manning Wardle aimed at providing a robust, entry level model which is easy to maintain and operate. Although the design is still outside-framed it now has the sophistication of simplified Walschaerts valve gear and slide valve cylinders for a smoother performance and enhanced delivery of power. 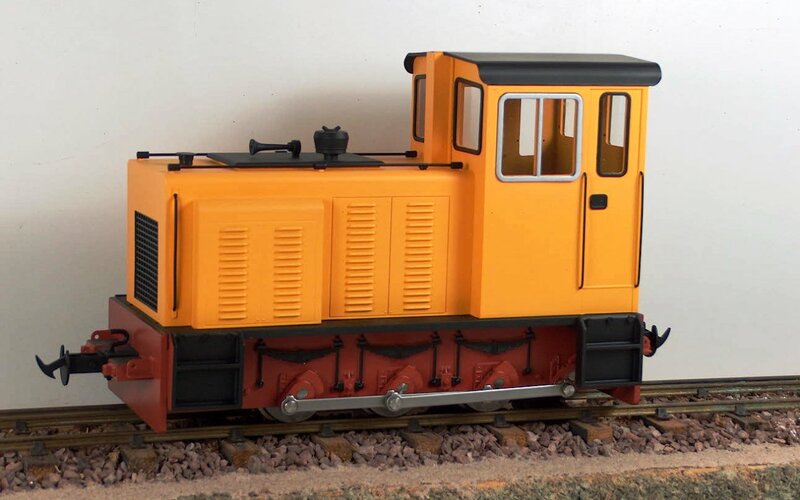 As before, we will also be offering the power unit (complete with boiler) as an ideal starting point for those who might wish to scratch-build their own body in 1:19 or even 1:13.7 scale. The target UK RRP is £950.00 with delivery anticipated in the first half of 2019. You can find the full specification here. Last call for the 7/8ths” scale ‘Forney’! The Portland Company constructed 0-4-4 Forney #5 in 1891 for the Sandy River Railroad. The locomotive was named “N.B. Neal” and operated this way until 1908 when the Sandy River, Franklin & Megantic, Philips & Rangeley, along with their respective subsidiary railroads merged to form the Sandy River & Rangeley Lakes. At this time the loco was renumbered to SR&RL #6. In 1925 the loco was sold to the Kennebec Central, becoming their #4. She was again sold in 1933 to the Wiscasset, Waterville & Farmington as their #9. After the WW&F railroad was abandoned in 1936-‘37, it was purchased and stored near Putnam, Connecticut. In December 1994, an agreement was reached with the estate for WW&F #9 and its return to Maine for eventual restoration. Over the course of several years the loco was restored and is now featured in regular excursion over a restored section of the railroad. Available exclusively from our Herefordshire office, the model carries a UK RRP of £3,200.00 including VAT, UK delivery and full UK warranty. The model is now in production so this is your last chance to order one! Welcome to our September newsletter. 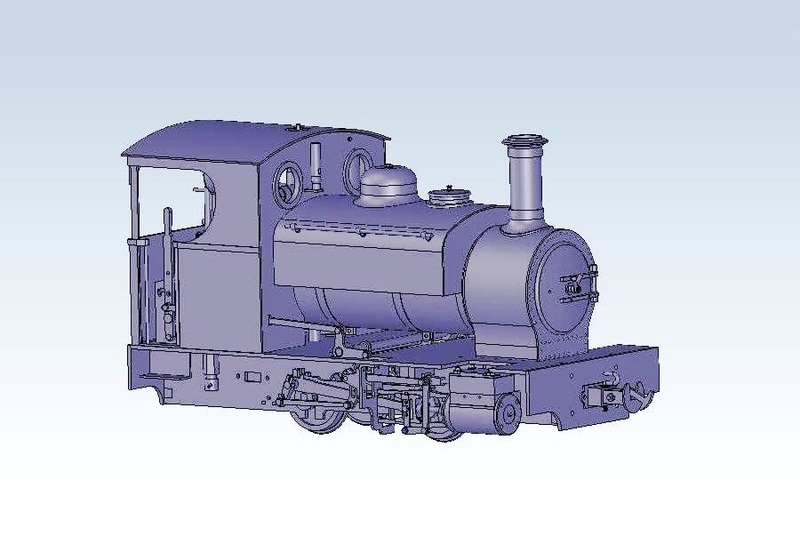 At last we are able to break the news of next year’s 7/8ths” Scale model – a Kerr Stuart ‘Wren’! 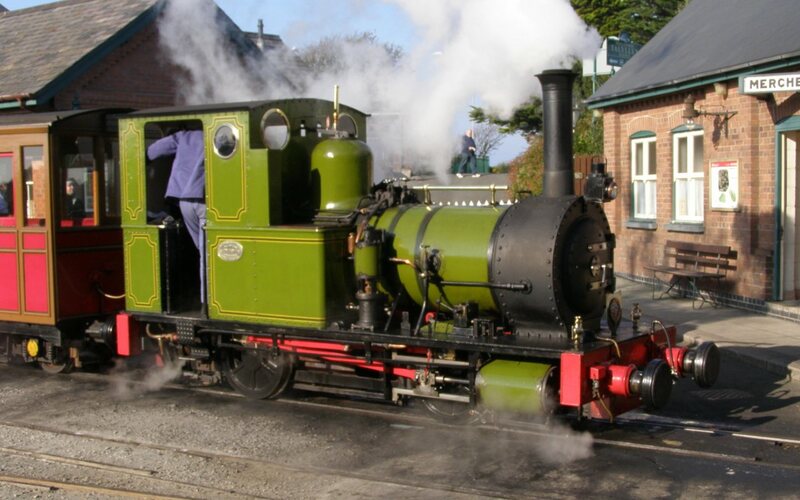 In other news we also unveil the reincarnation of ‘Ragleth’ and an upgraded and more sophisticated tank and saddle tank engine. 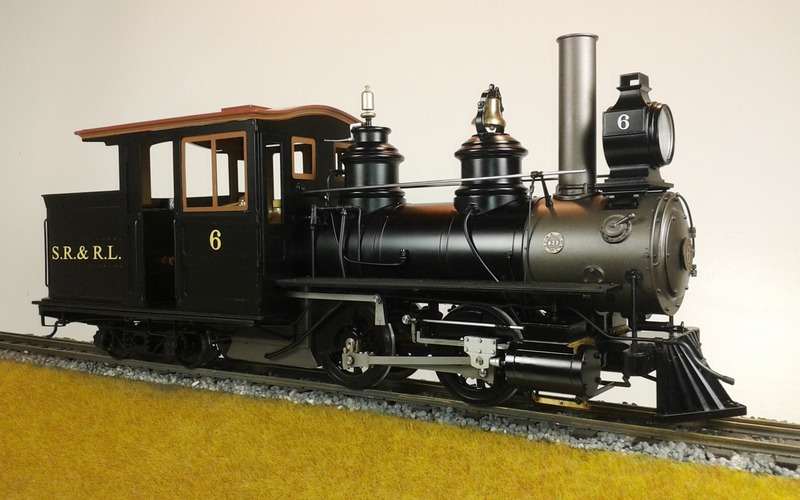 Accucraft Trains is pleased to announce this locomotive in 7/8ths” to the foot (1:13.7) scale live steam. Our thanks and appreciation to both Graham Langer and Ian Pearse for their assistance in the development of this model. 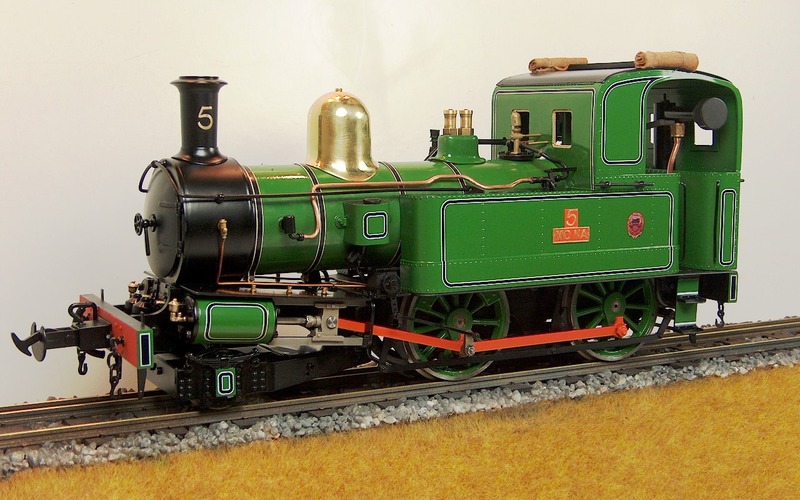 In the UK the model has been produced in association with Kent Garden Railways and will only available from them or direct from Accucraft (UK). The model is internally gas fired and has slide valve cylinders with working Hackworth valve gear. The boiler is fitted with a water gauge with blow down valve, lubricator and pressure gauge. It will be available in 45mm gauge (gauge 1) only. The model will be available black, blue, green and red with a UK RRP of £1650.00. You can find the full specification here. 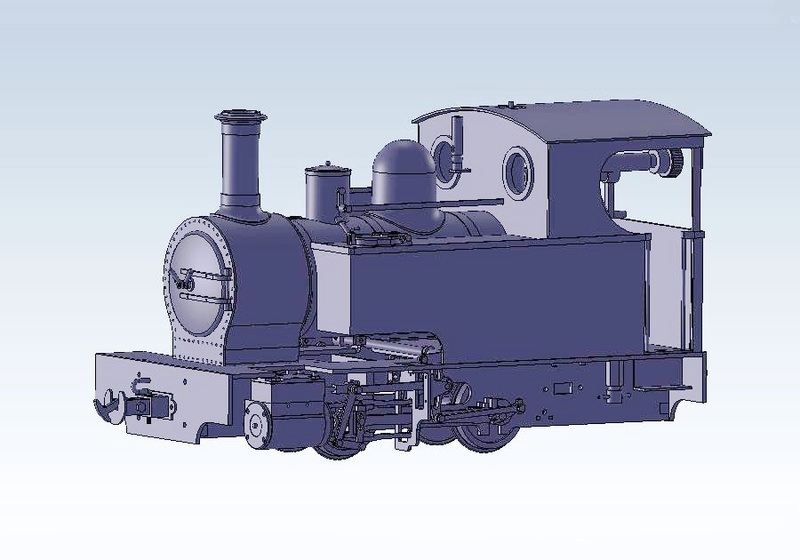 We are delighted to announce not one, but two, new generic 0-4-0 locomotives for 16mm (1:19) scale. After many years in production we felt was time to completely revise the ‘Ragleth’ design, hundreds of which have appeared in the guise of ‘Edrig’, ‘Caradoc’, ‘Mortimer’, ‘Ragleth’ and, most recently, ‘Jedrig’. In consequence we can now offer you ‘Talgarth’ the tank engine and ‘Sabrina’ the saddle tank (you’ll note that we are still drawing names from Wales and the Welsh Marches!). Both are freelance locomotives with design inspirations from Manning Wardle aimed at providing a robust, entry level model which is easy to maintain and operate. Although the design is still outside-framed it now has the sophistication of simplified Walschaerts valve gear and slide valve cylinders for a smoother performance and enhanced delivery of power. 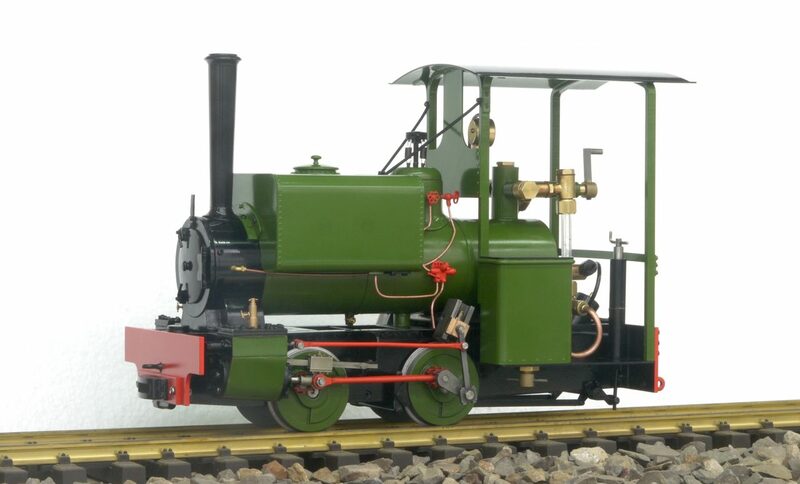 As before, we will also be offering the power unit (complete with boiler) as an ideal starting point for those who might wish to scratch-build their own body in 1:19 or even 1:13.7 scale. The target UK RRP is £950.00 with delivery anticipated in the first half of 2019. You can find the full specification here. Welcome to our August newsletter. This month we bring two important news stories. Firstly we have been appointed Aster-Accucraft dealers and secondly the production prototype of the WD Hunslet broke cover at this year’s very successful ‘Tracks to the Trenches’ event in July. As a consequence of the new collaboration between Aster Hobby Co. Inc. (Japan) and Accucraft Trains (USA), we are delighted to announce that we have also been appointed Aster-Accucraft dealers for the UK, further enhancing the range of products we can offer our customers. Aster Hobby needs no introduction, their locomotives are often regarded as the bench mark for 1:32 live steam and the recent release of a batch of 9Fs is the first co-operative project between Aster Hobby and Accucraft Trains. Aster’s experience and expertise in producing the finest kit models has been combined with Accucraft’s component manufacturing and production skills to produce the Aster-Accucraft BR 9F. 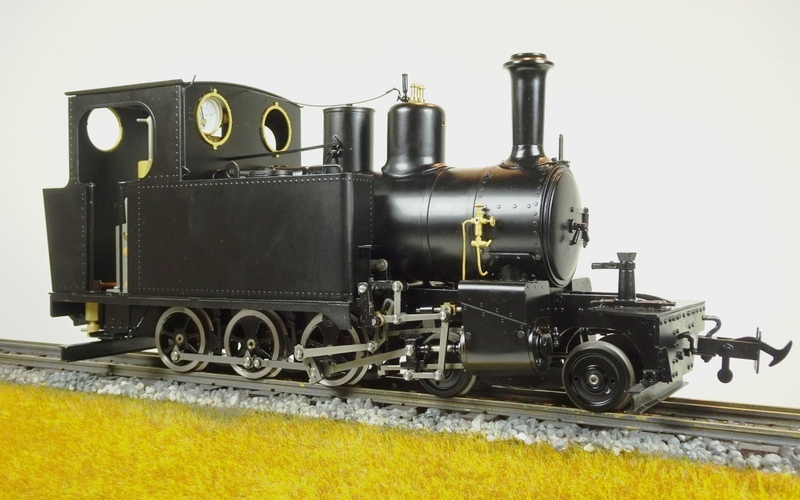 Like all Aster models it was offered in both kit form and as a fully assembled, ready to run model and has been well-received by the Gauge 1 community. We are pleased to say that Aster Hobbies (UK) has now joined the ranks of Accucraft dealers will now be able to offer its customers the Accucraft UK range as well. Aster-Accucraft products will only be available direct from Accucraft (UK) Ltd. or Aster Hobbies (UK). Due for release shortly will be an up-graded version of the Light Mikado. The original Aster Light Mikado was produced in 1999 and was offered in a basic version with available upgrades (see the Accucraft US website for a list of new features that have been added to this new updated design). Production quantity will be limited to 60 units and it will be available in both unlettered and ‘road-named’ versions. This is a powerful and easily constructed kit based on one of Aster Hobby Co’s most successful designs for the North American market. The USRA Mikados are perfect to accompany the Accucraft US range of 1:32 rolling stock – please enquire about current availability. You can find full details of the Aster-Accucraft Light Mikado here. UK RRP to be £3550.00 for the kits and £4550.00 for the RTR, due late September. The USRA light Mikado will be followed in October by a short re-run of the BR Standard class 5MT. This new version will now feature a high-sided BR 1C tender and will be available in both lined black and lined green liveries. Kits from Accucraft (UK) Ltd. will be unlettered and without emblem/crest for your choice (decals included). Ready to Run models will represent preserved No. 73096 in lined green and the Bluebell Railway’s No. 73082 Camelot in lined black. Aster Hobby Co only made 170 units back in 2010 allowing for a further run; with the high-sided tender the model is perfect for representing the British Railways Southern Region ‘Arthurs’ which acquired the the names of scrapped Southern Railway N15 ‘King Arthurs’ (the Southern Region examples required high capacity tenders because of the lack of water troughs in the region). The 5MT will be an ideal companion for the Accucraft UK range of Gauge 1 (1:32 scale) rolling stock. UK RRP is expected to be kits at £3200.00 and RTR at £4200.00. Finally, for the close of 2018 we anticipate the release of a batch of the new USRA heavy Mikado. 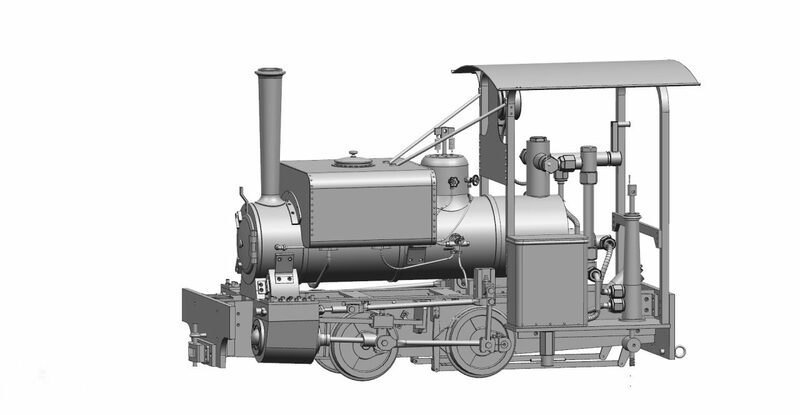 This model will share many of the same improved features as the Light Mikado but with the larger boiler casing, larger smokebox and cab of the Heavy Mikado. Production quantity limited to 160 units. There are still a few Aster-Accucraft BR 9Fs available, please enquire about availability. The British Railways BR Standard Class 9F 2-10-0 was designed for British Railways by Robert Riddles for use on fast, heavy freight trains over long distances. The total number built was 251. The last of the class, 92220 ‘Evening Star’, was the final steam locomotive to be built by British Railways, in 1960. Withdrawals began in 1964, with the final locomotives removed from service in 1968. Several examples have survived into the preservation. This is the first co-operative project between Aster Hobby Co. Inc. (Japan) and Accucraft Trains (USA). Aster’s experience and expertise in producing the finest kit models has been combined with Accucraft’s component manufacturing and production skills to produce the Aster-Accucraft BR 9F. This model is offered in both kit form and as a fully assembled, ready to run model. 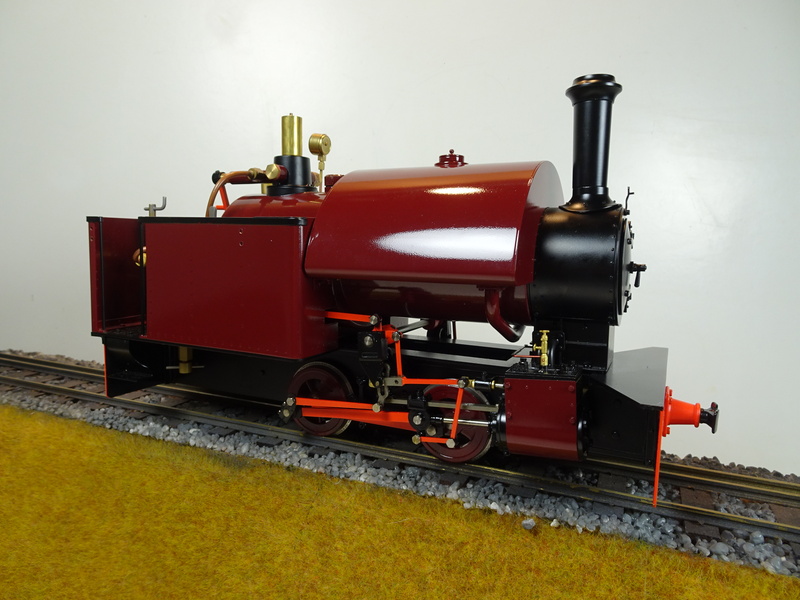 As a kit, the components are fully painted and detailed (according to the version offered), all machining is done, and the boiler is fully assembled and pressure tested. You can find full details here. 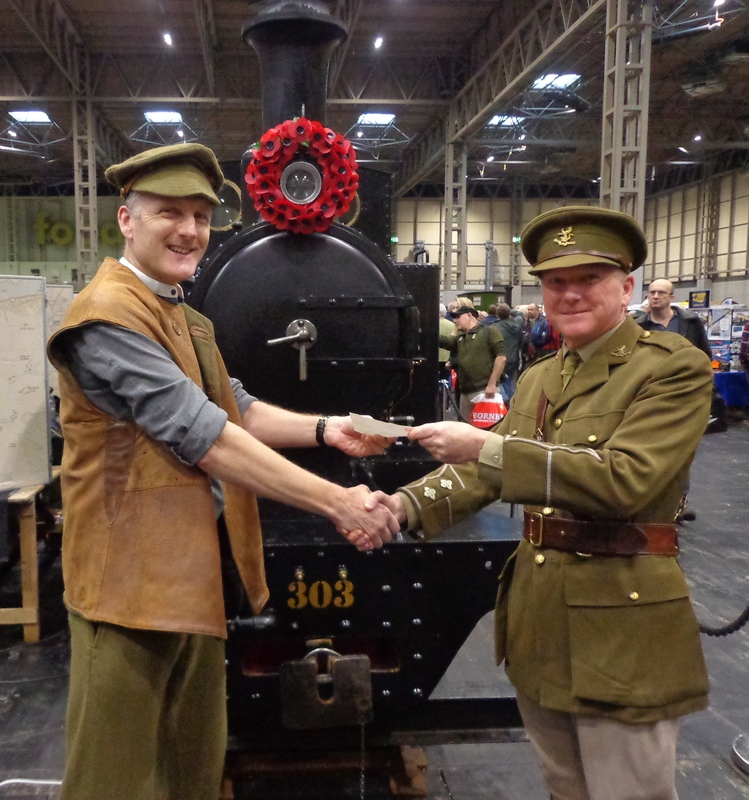 Double debut at ‘Tracks to the Trenches’! We managed to effect a ‘double debut’ at this year’s hugely successful ‘Tracks to the Trenches’ event at Apedale last month. Alongside the War Department Locomotive Trust’s WD Hunslet No. 303 making its first public passenger carrying runs, we unveiled our own, 1:19 scale model of the class and were able to display the two together. We are grateful to the WDLT for their assistance in creating the 16mm scale version and a percentage of the retail profit from the sale of these will be donated to the Trust. The image shows Ian Hughes of the WDLT, Graham Langer (Accucraft UK) and No. 303 – both large and small! 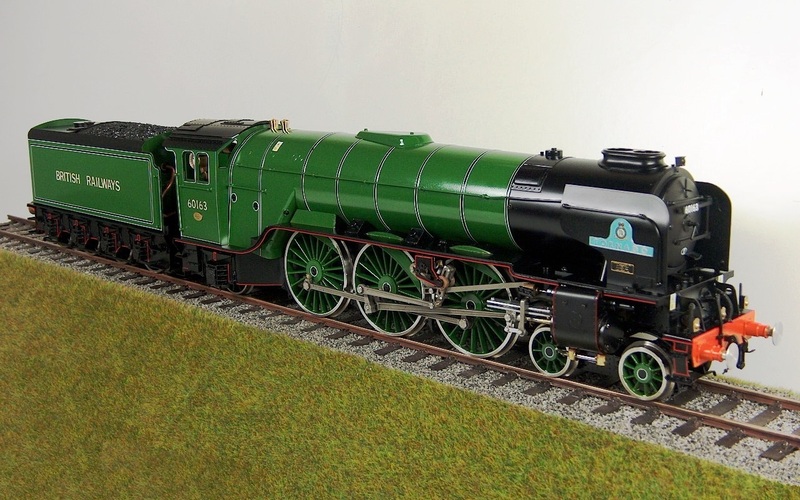 A percentage of the retail profit from each UK sale will be donated to this locomotive, a greater percentage if ordered directly from us, Accucraft (UK) Ltd. You can find full details of the model here but don’t delay ordering one, there are only a handful left available.